This masterclass uncovers what companies and organisations need to do in order to make social media work for their business. Far too many companies merely pay lip service to social media by creating profiles on the various networks and then occasionally dipping into them. But to make money from these networks companies need to use them in ways which are frequently not explained in all the guides available. They focus too much on “using” the social media. Instead, this masterclass focuses on “profiting” from social media. Who is actually doing well with social media? This session investigates case histories of people doing really well with social media – not celebrities, but actual businesses making profits. Using research data from studies across a wide variety of business sizes and sectors, this session uncovers those companies and sectors that are using social media to boost profits and how they are doing it. Live examples will show exactly what successful companies are doing right now with social media to help raise profits. This session looks at the various options for online social activity and, using live examples from within the room, shows which ones are likely to work best for each particular kind of business sector. This session will also uncover the central activity which all companies do to ensure that whatever social media they use it will lead to profits. 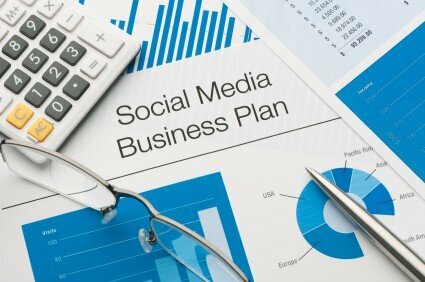 What does your business need to do in order to increase its profits as a result of social media? What are the steps your company needs to take so that social medai can be utilised in a profitable manner? This session helps you discover what your company should do in order to capitalise on social media. For CEO Groups and Executive Leadership Groups there is an additional session which will provide individual delegates with a personalised social media profits plan for their business. During the afternoon “issues sessions” at CEO Group meetings, Graham Jones will be available in a separate room or in the coffee lounge for 30-minute, one-to-one, “surgery” style sessions with individual delegates. They can “pop out” of the issues session for a short while and get a personalised social media strategy during this half-hour consultancy. Up to six people can be seen during this additional afternoon session. The masterclass itself is charged at £1,200 + VAT. The afternoon “surgery” session is charged at an additional £600 + VAT. If you are interested in this CEO Masterclass on Social Profits then either phone me on 0118 336 9710 or please complete the form below and I will contact you as soon as possible. Please enter a possible date you have in mind for the masterclass. If you think your members would be interested in the afternoon one-to-one sessions please say "Yes". This will not be taken as a firm commitment at this stage, merely an expression of interest. Please let me know any extra information you feel I ought to know.